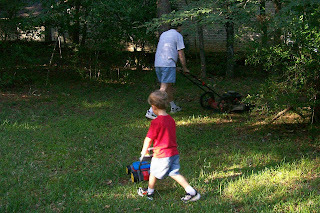 Mowing alongside Dad, never mind that he's mowing the driveway. 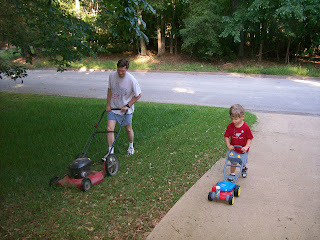 Following Daddy while he mows. 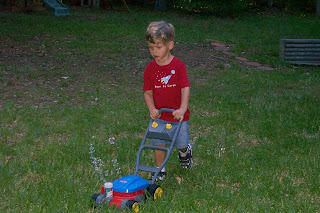 Dawson's mower runs on bubbles!! 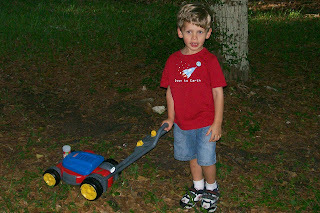 Taking a break from all that hard work.